Understanding the requirements of patrons, we are engaged in manufacturing, exporting and wholesaling Horizontal Centrifugal Pump. 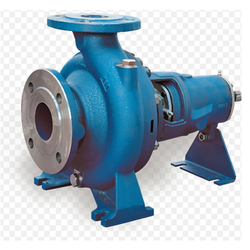 Provided centrigugal pumps are able to fulfill the requirements of patrons as these are manufactured by making use of the premium quality material that are sourced from the most authentic vendors of the industry as per their given details. Along with this, we keep in mind the well-defined quality standards of the industry while manufacturing these centrifugal pumps. We are instrumental in offering optimum quality Horizontal Centrifugal Pump, is made in-line with the well-defined quality standards of the industry. With an aim to ensure the peerless features of these centrifugal pumps, we manufacture these by using premium material under the supervision of professionals. Looking for Horizontal Centrifugal Pump ?